The Dodge Charger lineup is a unique breed within the sportscar segment, as it is one of the few models that features four doors instead of two. Unfortunately for the 2019 Charger lineup, that’s about all it’s got going for it when compared to the 2019 Mustang lineup. 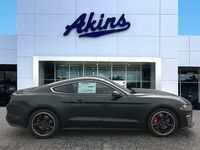 That’s because the 2019 Mustang lineup continues the model’s longstanding tradition of featuring all the fun to drive power and capability you need to take you on the ride of a lifetime. Now, we’re not saying the 2019 Charger isn’t fun to drive, we’re simply saying it’s not as fun to drive as the 2019 Mustang. And we’re going to show you exactly why that is with this 2019 Ford Mustang versus 2019 Dodge Charger head-to-head comparison. 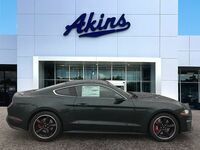 310 HP & 350 lb-ft. Standard Power Ratings 292 HP & 260 lb-ft.
We’re pretty sure one of the rows in our 2019 Mustang versus 2019 Charger comparison table jumps out at you above all else – and that would be the row that covers the starting manufacturer’s suggested retail price of each model. 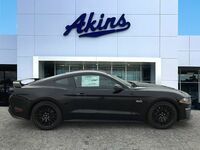 As you can see, the 2019 Ford Mustang lineup features the lower price tag, which is always a good place to start. 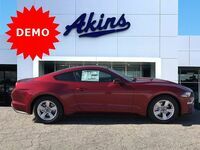 It’s an especially good place to start when you can move from that right on to the fact that the 2019 Mustang lineup features more standard power and higher standard gas mileage than the 2019 Charger lineup. 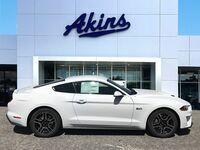 So, let’s recap quickly – you’re getting more power and better fuel efficiency for less money with a 2019 Ford Mustang at Akins Ford near Atlanta, GA. The one thing the 2019 Charger lineup has going for it is that it’s bigger on the inside than the 2019 Mustang lineup. However, the difference isn’t that great and we’re pretty sure you won’t notice it as you’re out taking the ride of your life with that extra money in your pocket. 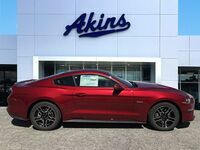 For more on the 2019 Ford Mustang lineup, please get in touch with our staff here at Akins Ford near Atlanta, GA.